The conversion helped in enhancing the range and accuracy of Pinaka. If its range was 40 kilometre earlier, it is more than 70 kilometer now, a DRDO official said. 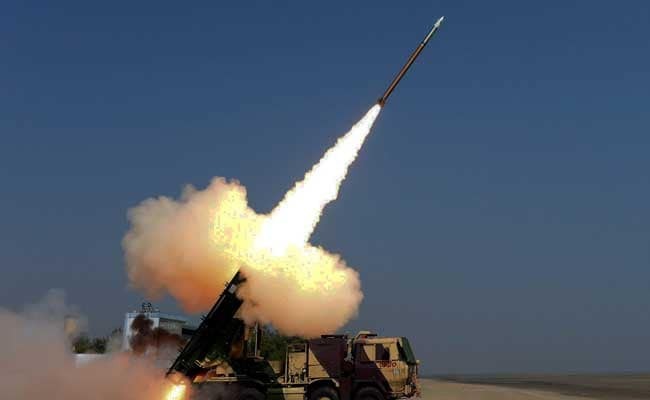 Balasore, Odisha: An upgraded version of the Pinaka rocket, with enhanced range and guidance system, was successfully test-fired from Chandipur in Odisha for the second consecutive day today. The test was carried out from a multi barrel launcher at about 10:35 am from the firing point of the Proof and Experiment Establishment (PXE) under DRDO, a day after two rounds of the successful trial took place yesterday, defence sources said. 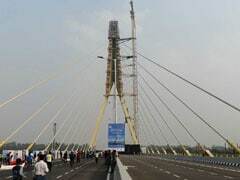 The earlier Pinaka system, which was an unguided one, has now been transformed into a guided version, with a navigation, guidance and control kit developed by the Research Centre, Imarat (RCI), Hyderabad, they said. The Research Centre, Imarat comes under the Defence Research and Development Organisation (DRDO). Radars, electro-optical systems and telemetry systems at the defence range at Chandipur tracked and monitored the rocket all through its flight path. The guided version is Pinaka mark-II, which evolved from Pinaka mark-I. It can fire a salvo of 12 rockets in 44 seconds. The successful trial of the guided Pinaka has reinforced the technological strength of the country in converting the unguided systems into weapons of high precision and accuracy, he said. The guided Pinaka has been developed jointly by the Armament Research and Development Establishment (ARDE), Pune, the RCI, and the Defence Research and Development Laboratory (DRDL), Hyderabad, for the Indian Army. The Proof and Experiment Establishment, Chandipur, provided the range and launch support.